The first tip is one that many amateur and some intermediate photographers haven’t truly come to understand yet. For those that aren’t aware, it takes a lot of time to shoot professional-grade photographs. You might have even heard this before, but have no idea what it is about shooting photos takes a lot of time. You show up to a spot and start firing away at the first thing that catches your eye, right? Instead, try this one out. Linger in an area and think about what appeals to your senses. Slow down your process, and take time to familiarize yourself with the environment you are in. Take notice of the lines or cracks on the ground, memorize the bends or sharp angles of nearby architecture, and check where the sun is located and how the shadows are affecting the space. When you are running around taking shot after shot, none of this unfolds for you. Instead, the run-and-gun photographer is simply documenting subjects and not exactly creating meaningful art. That’s why it’s very important to linger and, plainly said, notice things. To me, a professional photographer means a person who professionally notices things. Once you take in your environment for a moment, you should already have a much better understanding about the “flow” of a space. Some of the simpler forms of composition may already be apparent to you, such as a symmetric building face that would look ideal to you centered in the frame or perhaps an occupied doorway that creates an elegant frame within a frame. Take the time to appreciate what’s in front of you. Your compositions will be much more solid and you’ll have a stronger emotional connection to your photographs. 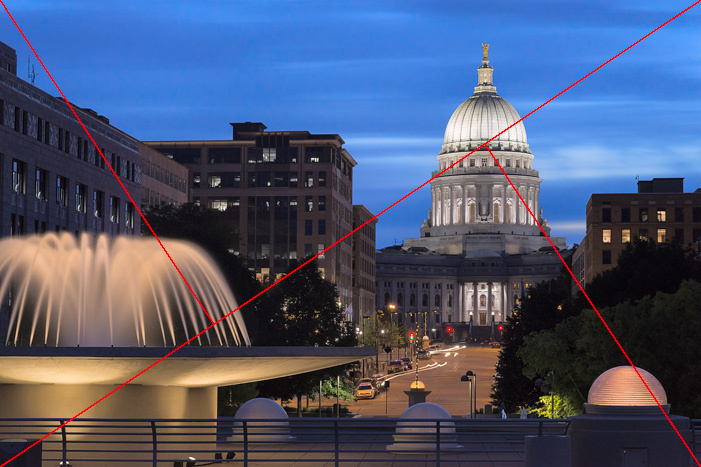 The following tip involving stereovision helps you make connections and better compositions with near and far objects. Most of us have two functioning eyeballs. What this achieves, sparing any science-y elaboration, is it allows us to see in what’s called stereovision or AKA three-dimensionally. That’s terrific, but photographs are two-dimensional. This is one reason why sometimes you think there is a brilliant shot in front of you, but after you snap the photo and look at it, it doesn’t look as good as it did in person or you find a tree branch in the background is sticking out of someone's head in the foreground. This tip is well known by traditional artists such as painters, but works brilliantly in photography as well. By shutting one eye, you are essentially limiting the information going to your brain and causing stereo blindness. Now, your brain is ridiculously smart so it will do its best to make up information on the fly to fill in data-gaps so you don’t fall off a cliff, but if you kind of relax your one open eye it really helps to see much more like a camera does. If you are in a forest for example, you’ll see that trees near and far kind of just meld together to be apart of the same plane, which is tremendously helpful for seeking out good compositions. Flattening out the world in front of you will help make you see relationships and compositions you never would have noticed otherwise. Live View is an incredibly useful tool for confirming your compositional idea. It’s not the best for actively searching them out, but it is helpful in determining if the composition you think you have is actually any good or not. With Live View, you’re looking at the scene in front of you in a two-dimensional form. This makes it easier to tell if the more complex compositions such as continuity with leading lines, negative spacing, and golden ratios will either fall apart or translate well to the 2D medium. If you are hunkering down at a spot waiting for the right light to come by, it’s worth your time to turn on Live View and double check you’re in a spot that’s actually working compositionally. The only drawback with Live View, besides it sucking down your battery, is that you are limited to the tiny LCD screen unless you have a CamRanger hooked up to an iPad or other similar solution. Using Live View allows you to step back and check if your composition holds together as a two-dimensional image. The following tips aren’t so much immediately usable with results starting today, but they lead down a path towards stronger artistic vision and thus better compositional work. As you go about your day, be on the look out for working compositions. Even without a camera on your person, take a moment to think about where you would photograph a room from and what about your choice of framing would have a strong compositional element. Doing these mental exercises will help you make quicker decisions when in the moment with your camera. Street photographers are experts at this sort of thing. 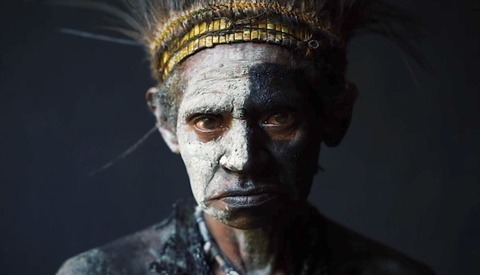 Even in new locations with constantly moving subjects, they are able to quickly recognize something that works and capture it in the fleeting moment. If you are like me, you learn much quicker by visual example. So while you’ve read all about what the rule of thirds is and have seen line diagrams of what it looks like, you should also familiarize yourself with real works of art. Rent a photography or art book from your local library and try to reverse-engineer what makes the piece work compositionally. Visit an art gallery and see how huge pieces of artwork make your eyes move around them. Try and make yourself aware to where your eyes move first, then second, and so on. Then think on what about those points made your eyes move in such a way. Remember these things and try and apply what you saw in the gallery when you are out shooting street photography or landscapes. 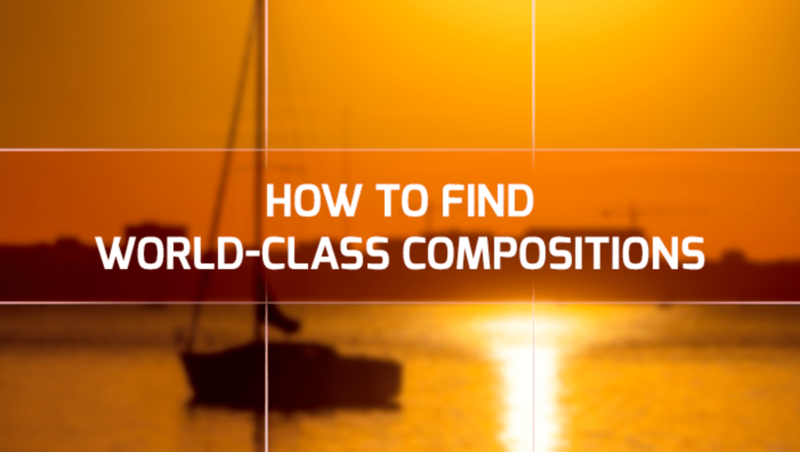 Thinking like a master artist who's in the hunt for a good composition will propel your work greatly. 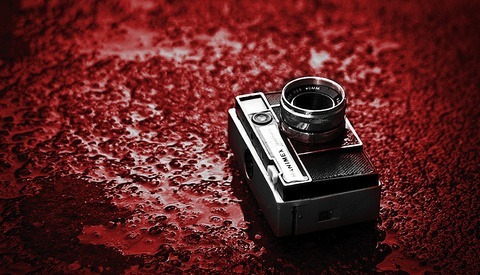 Failing is completely necessary in photography, as well as most everything that is worth achieving. Never be discouraged that you went out and shot a memory card full of photos and it turns out you actually don’t like any of them. You just received a memory card full of priceless helpful pointers on what doesn’t work well in your compositions. Some locations or subjects are just really difficult to uncover their essence in a photograph. When you try and fail, go back and make an adjustment based on your previous images. Photograph a location 100 times if you need to, because in the end when you land that perfect shot, it will feel well worth the effort. Another benefit to revisiting a location over and over is your sense of what’s interesting will mature. 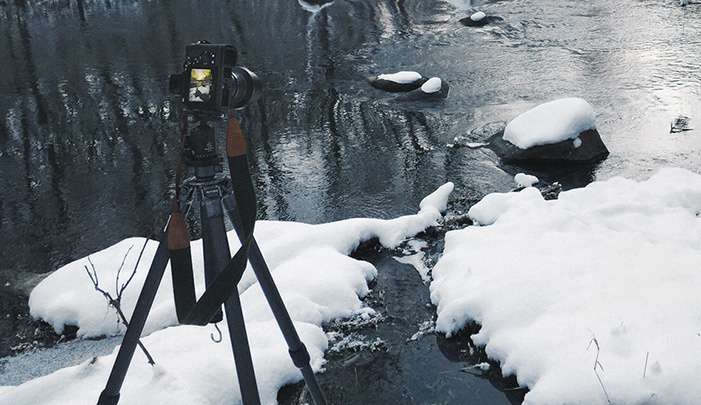 You'll be able to uncover much more intricate compositions that a first-timer would breeze past as they worry about capturing the big picture. Good article, and good advice. I never heard of the eye trick. Nice work on your site. As an amateur photographer that started with a phone and then jumped on a DSLR, I do tend to miss the phone screen for composing. Oh and thank you for the eye trick. When Live View was first being introduced into DSLRs, I remember a lot of photographers had the opinion that it was gimmicky since at the time only point-and-shoot cameras used it — and *real* photographers only used the viewfinder they said. I'm glad most everyone came to their senses, because Live View is a valuable asset to have.